You never really know what you’re going to get with a Tim Cohen listening experience; he’s a man of many faces, wearing various hats in Fresh and Onlys, Tim Cohen and now Magic Trick. After the first few listens to Ruler of the Night (Hardly Art), you can clearly see that he’s put aside that psych-pop hat, just for a moment, crafting something truly remarkable that won’t leave your record player for days or even weeks. 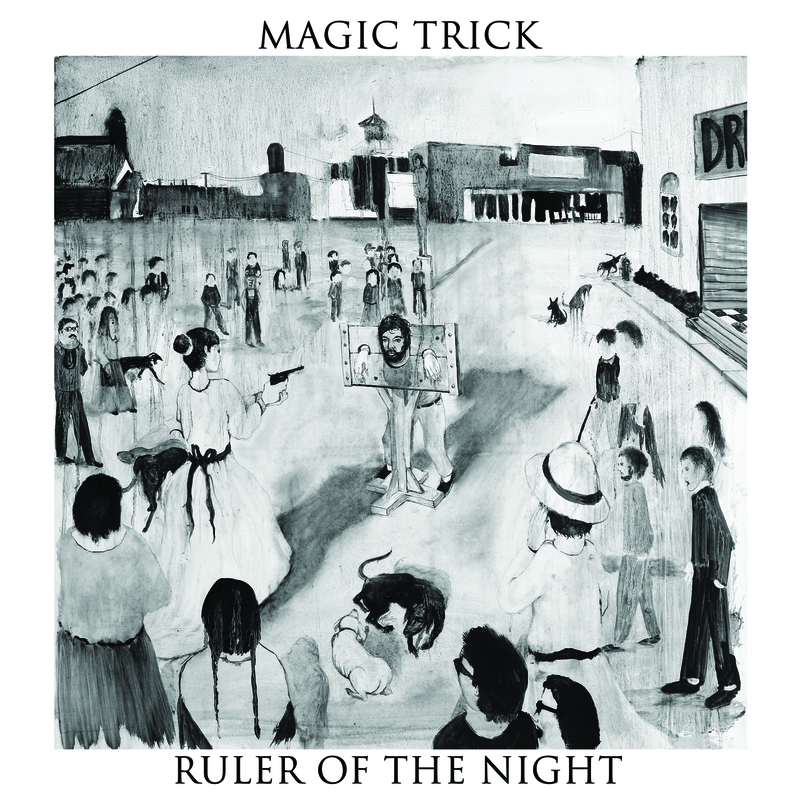 If “Ruler of the Night” is going to be your starting point, it’s the place that first establishes a different approach for Cohen and Magic Trick, now that the band has been solidified. 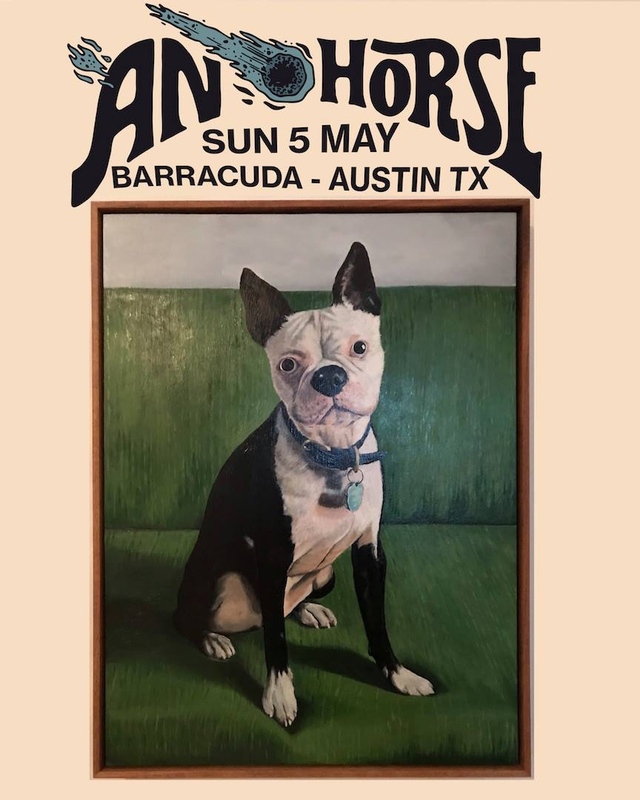 You’ll find lightly strummed guitar and an extremely warm backing vocal; the careful construction of the song demonstrates how far Tim is willing to go on this outing. Immediately following is “Torture,” which just might have the longevity to be one of my tracks of the year. You can see the lineage of this track, and possible connection, to Fresh and Onlys, but the melodic harmonies backing your frontman here see him pushing that sound; he even takes a stab at a soaring vocal himself, to much success. 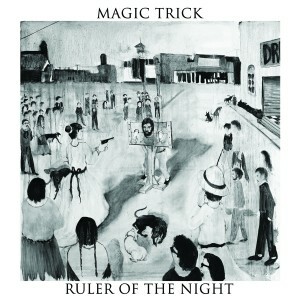 Ruler of the Night will probably be remembered most for the variance in songwriting that Magic Trick utilizes on the effort. “Sunny” sounds like a San Francisco group taking a stab at writing a Magnetic Fields song, but perhaps that’s just the guitar sound, or the backing vocals. The mood of the song resonates with the title, but it’s juxtaposition to the dark ballad “Next to Nothing” gives you reason to make sure your listening experience revolves around the completed record. While similarities exist overall, each song creates its own bit of character, all dependent upon the accompaniment of the rest of the group. “Same People” seemingly has its roots in Tim’s fascination with hip-hop, and it plays like a bit of electronic constructionism. Cohen’s vocals barely seem to rest atop of the beats, but it fits in with the mood of the album, especially when the tone is lightened during the chorus. It’s a similar track to the appearance of sampled beats early with “Invisible at Midnight.” The construction of the song definitely revolves around the electronic elements, but like the previously mentioned track, there’s an explosion of brightness that comes with the chorus. Such delicate touches to the construction of each track demonstrate how careful the group has been in finishing off their compositions. If anything, Ruler of the Night seems to be a statement for Tim Cohen. While Magic Trick might be a side-project, it’s definitely one that forces everyone to take notice of the songwriter as more than just a purveyor of psych-pop. He’s got a solidified group working with him in Magic Trick now, and together they’ve crafted a welcoming album that reveals more to your ear and heart with each careful listen.